I recently traveled to Peru for a work trip with AdventureSmith Explorations and only had time for two small sketches. For photos from the journey, view my Instagram feeds: the personal/llama-filled @lis_k and the professional @adventure_smith, which features a fuller look at my wanderings in the Lares and Salkantay regions, Sacred Valley, Cusco and Machu Picchu. Huayna Picchu is sketched above while I waited in line for the gates to open; below is a view of Humantay Glacier, an acclimatization hike I took on the Salkantay trek. My full expert review is also now published on this trip – read my trip report. Franz Josef Glacier: I drew this on the hike out, sitting on a rock, looking back at the glacier. It was a very peaceful moment for me, and super satisfying to be traveling alone, able to hike as fast as I wanted, and stop for as long as I wanted to sketch in the sun. French Ridge Hut: drew this at twilight sitting outside on the kea perch between the outhouse and the hut. Colored it inside as it got too cold! 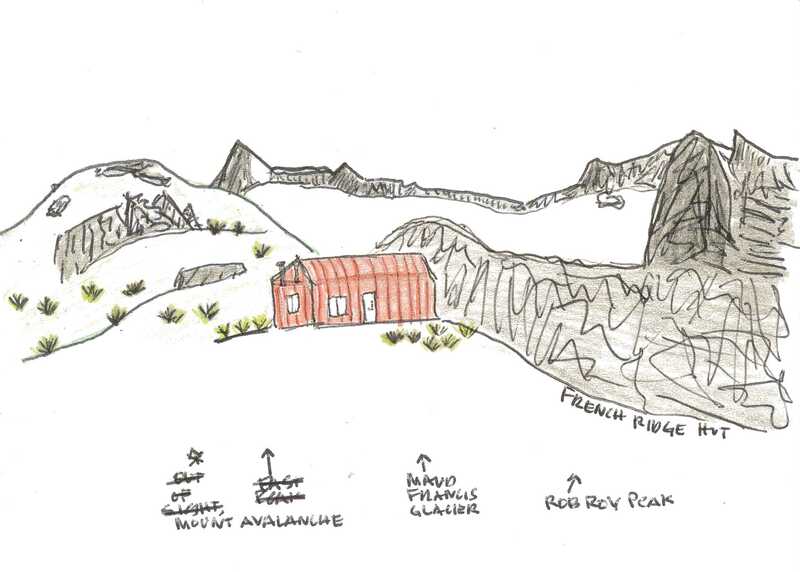 We were looking at the map in the hut’s kitchen as I colored and at first thought a bit of Mount Avalanche was East Peak. The hut sits at 4,856 feet above sea level, which was an all-fours advanced tramp up 3,508 feet of elevation in just 4.5 miles from the Aspiring Hut in the Matukituki Valley floor, just outside of Wanaka near Rob Roy Glacier. This is one of the most rugged and magical places I’ve ever been. 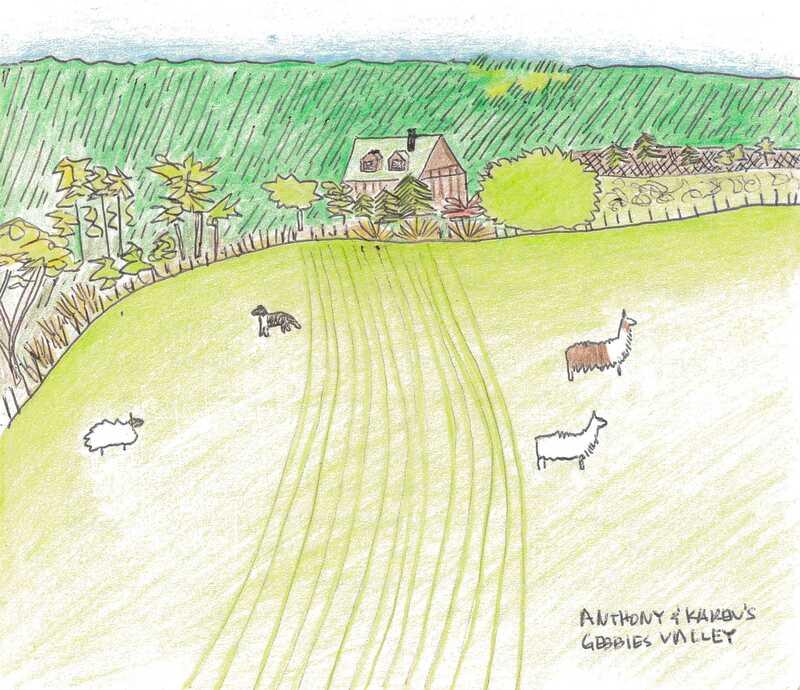 Gebbies Valley: I drew this sitting in the front paddock of the farm I WWOOFed at on the Banks Peninsula just outside of Christchurch. I don’t love how the recently sown paddock came out; kinda wish I’d left the field white. In person, it was super cool looking with lines of new green sprouts. But this sketch does give a good sense of the happiness and home this land meant to me.